1. Col. Frank Huger, C.S.A. : The Civil War Letters of a Confederate Artillery Officer edited by Thomas K. Tate (McFarland, 2011). Huger served in the eastern theater and with Longstreet's Corps in the west. There are also a number of Trans-Mississippi letters from his father, General Benjamin Huger contained in the volume. Tate annotates the material and accompanies the pieces with his own lengthy background narrative. 2. 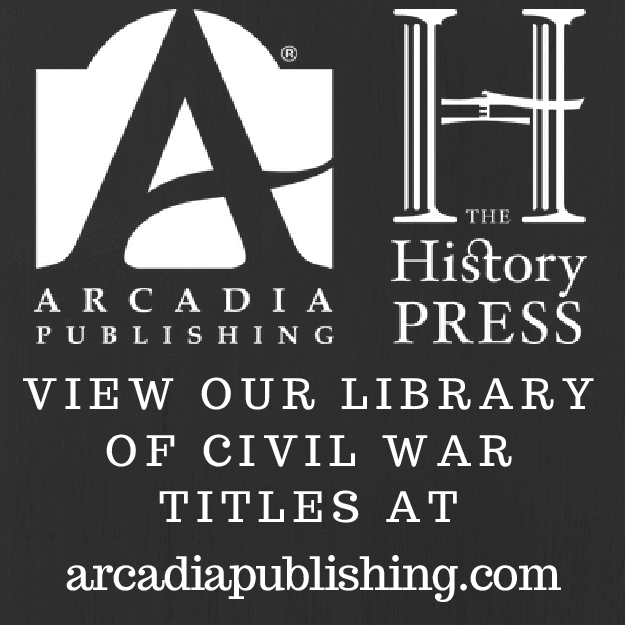 Tennessee in the Civil War: Selected Contemporary Accounts of Military and Other Events, Month by Month compiled by James B. Jones, Jr. (McFarland, 2011). Jones, a Tennessee Historical Commission staff historian, compiled and chronologically arranges a mass of published and unpublished information (including diaries, letters, newspapers, books, articles, official records, and government reports) about both the military and home fronts in the Volunteer State. 1. The Siege of Washington: The Untold Story of the Twelve Days That Shook the Union by John Lockwood and Charles Lockwood (Oxford UP, 2011). A popular narrative account of events from the early war period when the U.S. Capitol was perceived as being most vulnerable to capture. 2. Barbarians and Brothers: Anglo-American Warfare, 1500-1865 by Wayne E. Lee (Oxford UP, 2011). This study takes the English-Irish conflicts, the English Civil War, the colonial Anglo-Indian wars, the American Revolution, and the American Civil War and contrasts the nature of the fighting when the enemy is defined by similar cultural traditions or as an alien "other" (the brothers and barbarians of the title). 3. A Glorious Army: Robert E. Lee's Triumph, 1862-1863 by Jeffry D. Wert (Simon & Schuster, 2011). Coffman: "GOING BACK THE WAY THEY CAME: The Phillips Georgia Legion Cavalry Battalion"
Given that the artillery, cavalry, and infantry components of Confederate legions tended not to serve together as a unit in the field, it is fitting that published legion histories often focus on the battalion level. Recent examples include Cobb's Legion Cavalry: A History and Roster of the Ninth Georgia Volunteers in the Civil War by Harriet Bey Mesic (McFarland, 2009), O. Lee Sturkey's volume from Broadfoot Publishing's new South Carolina Regimental-Roster Set series A History of the Hampton Legion Infantry (2009), and Richard Coffman's To Honor These Men: A History of the Phillips Georgia Legion Infantry Battalion (Mercer, 2007). 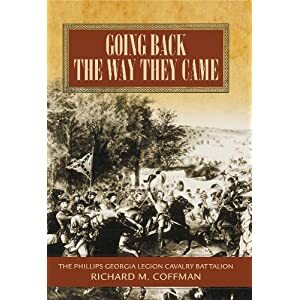 This year Coffman revisits the Phillips Legion with his new book Going Back the Way They Came: The Phillips Georgia Legion Cavalry Battalion. Going Back the Way They Came is a unit study with a format hearkening back to the H.E. Howard regimental roster series for Virginia units. However, Coffman's research and roster presentations greatly surpass in depth those of the typical Howard entry, with much of the manuscript material extensively quoted in the text and published for the first time. The battalion history portion of the book is brief, running only 112 pages and covering the troopers's 1861-62 stints in Western Virginia and South Carolina, as well as their service with the Army of Northern Virginia during the 2nd Bull Run, Antietam, Chancellorsville, Gettysburg, Bristoe, Mine Run, and Overland campaigns before finally ending up back where they started in the Carolinas. Within the narrative, the author often refers the reader to his earlier and much larger work To Honor These Men, a reminder that, although each is a readable standalone work, both books are best appreciated as a set. The second half of Going Back the Way They Came is largely comprised of the legion cavalry's company rosters. For these, Coffman was able to include detailed service record information for the majority of the officers and men. Other appendices include the legion's organizational history and additional rosters for the four mounted companies that consolidated with the legion in 1864 (Love's 4th Alabama Battalion -- the "Lovelies"). Presentation is another positive quality of the book, from the handsome gray cloth and fancy endpapers to the welcome decision to go with footnotes over endnotes. A gallery of carte de visites adds to the visual flavor, along with a number of general purpose maps. Combining a fast moving narrative with useful supplementary material for researchers, Going Back the Way They Came is a fine addition to the literature of Confederate eastern theater cavalry units and operations. Patchan: "THE BATTLE OF PIEDMONT AND HUNTER'S RAID ON STAUNTON: The 1864 Shenandoah Campaign"
Scott Patchan's presumably limited release and long out-of-print battle history The Forgotten Fury: The Battle of Piedmont, Va. (Sgt. Kirkland's, 1996) has remained a much sought after book for Shenandoah Valley Civil War enthusiasts. Thankfully, this year it has been reprinted by The History Press in a newly revised edition under the title The Battle of Piedmont and Hunter's Raid on Staunton: The 1864 Shenandoah Campaign. The June 5, 1864 Battle of Piedmont was a hard fought Union victory won by two divisions of Major General David Hunter's Army of the Shenandoah over the smaller Confederate Army of the Valley District. Casualties were heavy on both sides and the Confederate commander, cavalryman Brigadier General William E. "Grumble" Jones, was killed attempting to rally his broken army. Valley campaigns seems to attract more than their share of gifted masters of Civil War battle narrative, and Patchan excels in presenting enough small unit tactical detail to satisfy the most demanding reader while and the same time offering prose pleasing enough to attract a broader audience. 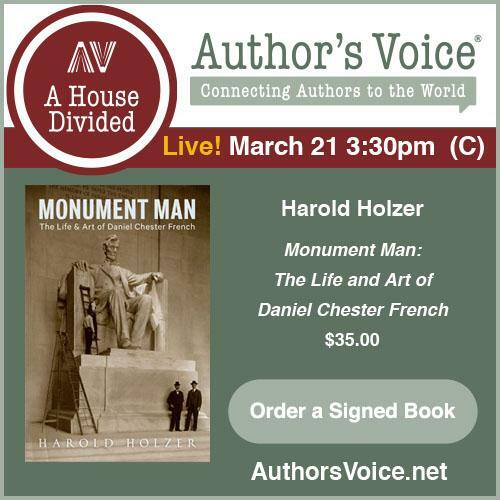 This makes the book a perfect fit for the publisher's Civil War Sesquicentennial Series. The author's deep knowledge of the battlefield terrain is also readily apparent in both text and maps. One can see why the usually astute Jones deployed his command in such a disjointed manner, risking a giant gap in his center [occupied only by artillery] for the sake of conforming to available cover. Speaking of maps, the new edition's cartography is a significant improvement over the old, primarily in the addition of topographical features. His work deeply rooted in primary source materials, Patchan conducted his manuscript research in repositories located all over the country. The only downgrade from the first edition is the conversion of footnotes to endnotes. As the book's strengths and losses appendix makes clear, the opposing armies were close enough in size for Jones to have reasonably expected to score a defensive victory and Patchan clearly demonstrates why it did not turn out that way. In an odd twist of fate, a generally good commander (Jones) had a bad day while a pair of typically unremarkable Union generals (Julius Stahel, who would be awarded the Medal of Honor for his role, and Jeremiah Sullivan) put in unusually competent performances. Patchan also joins Charles Larry Gordon, the author of a recent history of John C. Vaughn's brigade*, in making a persuasive case for rejecting the scapegoating of Vaughn for the defeat. What was the importance of Piedmont? Hunter's victory led to the capture of the vital railhead at Staunton, Va, and the Union army's subsequent advance toward Lynchburg forced Robert E. Lee to return John C. Breckinridge's division to the valley, to be late joined by Jubal Early's 2nd Corps. Less appreciated was the loss of Jones and large numbers of Valley cavalry. Both would be missed by Early, who would have little good to say about his mounted arm during his own series of disasters. The Battle of Piedmont and Hunter's Raid on Staunton is a model study of a small but consequential Civil War raid and battle. Owners of the 1996 edition should find the improvements significant enough to warrant another purchase. Patchan's Piedmont reissue is very highly recommended reading for all students of the 1864 Shenandoah campaigns. * - The Last Confederate General: John C. Vaughn and His East Tennessee Cavalry by Charles Larry Gordon (Zenith Press, 2009). 1. The Dogs of War: 1861 by Emory M. Thomas (Oxford Univ Pr, 2011). 2. Confederate Outlaw: Champ Ferguson and the Civil War in Appalachia by Brian D. McKnight (LSU Pr, 2011). I admired McKnight's Contested Borderland: The Civil War in Appalachian Kentucky and Virginia (UP of Kentucky, 2006) and expect his Ferguson book to be an improvement over Thomas Mays's recent biography. Tighe: "THE BRISTOE CAMPAIGN: General Lee's Last Strategic Offensive with the Army of Northern Virginia October 1863"
Absent any major battles and sandwiched between the bloodbaths of Gettysburg and the following year's Overland Campaign, the autumn 1863 Bristoe and Mine Run campaigns have received comparatively minimal coverage in the literature. Short works for both have appeared in the H.E. Howard Virginia Civil War Battles and Leaders series *, but Adrian Tighe's The Bristoe Campaign: General Lee's Last Strategic Offensive with the Army of Northern Virginia October 1863 is the first truly full length treatment of the fluid sparring between the armies of Robert E. Lee and George Meade that took place between September 12 and October 31. The 1863 Bristoe Campaign was the first to feature the downsized versions of both Lee's Army of Northern Virginia and Meade's Army of the Potomac, with the former losing Longstreet's 1st Corps and the latter a pair of corps (11th and 12th) soon after the decisive Union defeat at Chickamauga. The campaign began with Meade's army deployed along the Rappahannock River's north bank, with JEB Stuart's cavalry opposite and Lee's infantry to south covering the Rapidan fords. What followed was six weeks of operational strike and counterstrike, as each side sought an opening. The Union cavalry (divisions under Gregg, Kilpatrick, and Buford) got off to a good start, outmaneuvering their Confederate counterparts and driving them back behind the Rapidan. At this point, Lee took the offensive, launching the first of several sequential left hooks, all with the goal of getting behind Meade's right flank and rear. Countering this, Meade pulled back. Finally, on October 14, the advance division (Heth's) of A.P. Hill's corps caught the temporarily isolated Union 2nd Corps (G.K. Warren) at Bristoe Station as the federals were attempting rejoin their comrades across Broad Run. With the Union divisions strongly posted behind a railroad embankment, the resulting fight was a bloody repulse for Heth. Lee declined to continue the attack with the remaining daylight, and the Army of the Potomac safely redeployed across Bull Run. Unable to supply his army that far forward, Lee, after destroying the railroads, withdrew behind the Rappahannock, ending the campaign. Tighe's skillfully crafted narrative, a very detailed rendering of weeks of small scale infantry and cavalry maneuvers and skirmishes, makes for fascinating reading for those inclined to appreciate Civil War operational warfare. Additionally, the study's regimental-scale rendering of the Bristoe Station fight is the best to date. The amount of source material consulted, both published and unpublished, is impressive, and the author's critique and analysis of the campaign and battle well supported by the evidence presented. Tighe is critical of Lee's decision to suspend further assaults with several more divisions at hand and two hours of remaining daylight. His argument that Lee's uncharacteristically lengthy October 13/14 march pause was the primary factor leading to the ultimate failure of the Confederate campaign is persuasive. By placing the afternoon attack on the 14th at Bristoe Station in the proper context of a progression of mistakes, the author avoids the excessive criticism that has been traditionally placed at the feet of Hill by contemporaries and historians alike. Although Hill deserves some degree of censure for his force dispositions, he was undoubtedly feeling the urgency of confronting an escaping enemy with fading light. On the Union side, some of the book's harshest criticism is leveled at Fifth Corps commander George Sykes, who ignored orders to maintain contact with Warren, leaving the Second Corps in the lurch at Bristoe. His case against Sykes is damning. Although not exploited by the enemy, Meade also bungled his own operations on at least two occasions during the campaign, getting caught by Lee's movements with his own army divided by a water barrier. Eastern theater cavalry enthusiasts will find Tighe's very extensive coverage of mounted operations of great interest. In addition to the myriad of skirmishes between the screening forces of both sides, the author devotes a long chapter to the Buckland Mills fight, as well as several supporting actions in the Shenandoah Valley. He praises John Buford's handling of his division, both on the offensive and in escorting to safety the army trains when the wagons were vulnerable in the latter stages of the campaign. Undermanned in response to the initial Union cavalry blitz to the Rapidan, Stuart recovered to perform well on the offensive (with one potentially dangerous exception, where he found himself isolated and surrounded). After Bristoe Station, Stuart and Fitzhugh Lee cleverly defeated the federal cavalry at Buckland Mills and additionally kept Union forces from halting the army's destructive work on the railroads before retiring. The book's maps, which contain better than average terrain and unit position representations, are plentiful and the author's promise to his readers to have them contain all important locations mentioned in the text is fulfilled. The operational maps are at corps and division level, while the tactical drawings are scaled to brigades and regiments. Seemingly every skirmish has a corresponding map, a rare occurrence in publishing. The first appendix delves into the post-battle lives of a select group of officers involved in the campaign, and others provide order of battle information and unit strength and loss data. Supplemental information about Stuart's position at Auburn, campaign weather, Confederate march routes, flag mysteries, and Medal of Honor awards round out the appendices. In terms of flaws, the book joins many self-published efforts in that it remains badly in need of a copy editor. Also, the author might have been better served to go with the traditional method of identifying regiments in the text (e.g. 14th Maine instead of Fourteenth ME). Given the depth of research and overall quality of the writing and analysis found in The Bristoe Campaign, to say nothing of just how satisfyingly it plugs a significant gap in the literature, it is a bit surprising no publisher was willing to take this project on [assuming the author made the attempt]. One hopes that Mr. Tighe might be prevailed upon to do so, as it will add to the credibility of a book that is immensely deserving of a wider audience. * - The Road to Bristoe Station: Campaigning with Lee and Meade, August 1-October 20, 1863 by William D. Henderson (H.E. Howard, 1987) and Mine Run: A Campaign of Lost Opportunities October 21, 1863-May 1, 1864 by Martin F. Graham & George Skoch (1987). Hunt: "COLONELS IN BLUE -- Michigan, Ohio and West Virginia: A Civil War Biographical Dictionary"
In 2008, a pair of significant contributions to the literature in the form of biographical reference works pertaining to Confederate colonels emerged with the publication of Bruce Allardice's Confederate Colonels: A Biographical Register (U. of Missouri Pr., 2008) and Kentuckians in Gray: Confederate Generals and Field Officers of the Bluegrass State (U. Pr. of Kentucky, 2008), the latter with co-author Lawrence L. Hewitt. For the Union side, author Roger D. Hunt has compiled and published photographic and biographical registers for colonels commanding regiments from New York, New England, and the Mid-Atlantic states. He's also created a volume for brevet brigadier generals. Moving out west, Hunt's newest series release is Colonels in Blue--Michigan, Ohio and West Virginia: A Civil War Biographical Dictionary. Under the main Michigan, Ohio, and West Virginia headings are regiment and biographical sections. The former is comprised of a listing of the state's militia and volunteer regiments, accompanied by the name(s) of the colonel(s) that led it, along with appointment dates and fates (e.g. mustering out, promotion, wounds, death, etc.). The second section, the heart of the book, is the biographical register. Each entry begins with a command and promotion summary for the officer, followed by date of birth & death, occupation(s), and burial site. As one might assume by the title, under the "Miscellaneous" heading is a grab bag of information and trivia spanning the subject's life. Hunt was also able to include a photograph for most of the colonels. It is clear from the book's bibliography and the reference list attached to each colonel entry, with their multitudes of manuscript sources, government records, newspapers, and publications of all types consulted, that Hunt has put a remarkable amount of effort into his research. 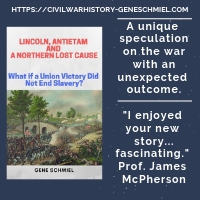 The result is a must-have resource for those conducting serious research into the men that comprised the regimental leadership of the Union army. Colonels in Blue is highly recommended for individuals and libraries. I've been an Amazon affiliate since the blog's beginnings. In addition to the great convenience of having ready made links to nearly every book published, I receive a small % of each sale reached through any of the Amazon related links on my site. If you find the news and reviews posted here on CWBA useful, please consider making your book purchases through the many links located along the sidebar [such as the "Find Books" box and the series of "Book Recs" widgets] and within the posts. It costs you nothing extra and helps ensure that I can continue to feature the widest possible range of Civil War books for review. And a big thanks to all that have participated in the past. 1. Going Back the Way They Came: The Philips Georgia Legion Cavalry Battalion by Richard M. Coffman (Mercer UP, 2011). The Philips Legion fought in the eastern theater campaigns (with the ANV) and in the Carolinas. The pages of Coffman's book are about equally divided between his short military history and roster study. 2. The Battle of Glendale: The Day the South Nearly Won the Civil War by Jim Stempel (McFarland, 2011). Appearances are not good. The bibliography fills only a single double-columned page of published sources (only a handful primary) and the O.R. is not even referenced once in the notes. "The Battle of Westport: Missouri's Great Confederate Raid"
Given the fight's position as the largest battle fought west of the Mississippi River, the absence of a full length military treatment of the October 1864 Battle of Westport remains a curious gap in the Civil War literature. A small number of writers and historians have made some valuable contributions, but none have pieced together a detailed tactical history on par with what readers have come to expect from modern Civil War campaign and battle histories. 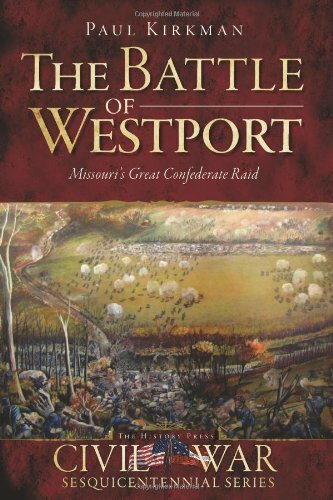 Paul Kirkman's new book The Battle of Westport: Missouri's Great Confederate Raid (The History Press, 2011) does not take on this long neglected challenge, nor does it claim to. Its goal is to provide a general history of the 1864 Price Raid, with a focus on the Westport battle(s) and the colorful history of the town itself. Readers primarily concerned with the military aspects of the battles and skirmishes around Westport, and those already familiar with the classic works of Monnett, Lee, Castel, Hinton, etc., will not find any new revelations within Kirkman's narrative summaries of the clashes at Independence/Little Blue River, Brush Creek, Byrum's Ford, and Mine Run. However, the chapters covering the history of Westport and its early importance to the state as a transportation hub and jumping off point for westward expansion (before being overtaken after the war by its neighbor Kansas City) informatively cover a lesser known topic. Footnotes are absent, but an order of battle, bibliography, and index are present. Given the street locations described in the text, one wishes a city map had been included. There are also a few factual errors sprinkled here and there [e.g. John C. Fremont was not a nephew of Thomas Hart Benton and Frederick Steele was a major general, not a colonel, at the time of the raid]. Overall, The Battle of Westport meets the expectations of The History Press's Civil War Sesquicentennial Series when it comes to providing popular narratives for a general reading audience. While long time students of the Civil War in Missouri will find little in the way of new information or perspectives, local history enthusiasts and those approaching the topic for the first time will appreciate the book's expansive viewpoint. 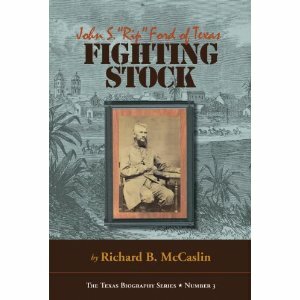 McCaslin: "FIGHTING STOCK: John S. "Rip" Ford of Texas"
The popularly accepted explanation behind the origin of John Salmon Ford's famous moniker centers around his penchant for applying "RIP" labels to deceased Texans named in his military reports. Another possibility put forth by Ford colleagues, used to giving playful nicknames to each other, was that Ford fell asleep on duty so much they started comparing him to Rip Van Winkle. Another suggestion refers to the South Carolina-born Texan's aggressiveness in a fight, his tendency to "rip" into the enemy. Regardless of the truth, and Ford himself offered no definitive clues, it cannot be argued that Ford was not a colorful figure that played an important role in many aspects of Texas history. Even in an era without onerous professional barriers to entry, Ford enjoyed an unusually variegated career path, with stints as a Texas Ranger, newspaper editor, state legislator, military officer, physician, surveyor, Deaf and Dumb Asylum superintendent, and historian. Richard McCaslin's new biography Fighting Stock: John S. "Rip" Ford of Texas covers comprehensively and quite well all the aforementioned aspects of his subject's life. A bit over one-third of McCaslin's biography covers the Civil War years. Ford was able to use his popularity in the state to propel himself into command of the 2nd Texas Cavalry, but, although he enjoyed a fair degree of authority along the Rio Grande front during the war, he never advanced beyond the rank of colonel in the Confederate army. His difficulty in cultivating a working relationship with superiors actually led him to lose his commission, and he spent much of the war without a Confederate rank at all. Fortuitously for the regional command arrangement, the state stepped in to appoint him a brigadier general of Texas forces, partially resolving the embarrassment that ensued. McCaslin is no stranger to Texas Civil War history [readers might recall his excellent treatment of the 1862 "Great Hanging"], and his summary of Ford's military service along the border between Texas and Mexico covers all points at a level of detail that should satisfy most readers of Civil War biography. The author's reconstruction of the complicated and shifting border situation, with its four competing power bases (Union, Confederate, Jaurista, and Imperial French) is also well done. It is true that Ford's role at the 1865 Battle of Palmito Ranch is only traced briefly, but we already have a pair of modern, full histories of the battle by Philip Thomas Tucker and Jeffrey Hunt. While excellent overall in its treatment of Ford's Civil War career, Fighting Stock is not without flaws. One aspect of the book left wanting is an overall assessment of Ford's military leadership and insights on how he conducted his battles. Also, given how often he was incapacitated by sickness, a more in-depth discussion of Ford's health might also have been fruitful. Finally, the single spare map at the front of the book is inadequate to properly inform readers of the many often obscure locations along the Texas-Mexican border that are mentioned in the text. Utilizing extensive research in unpublished and published source materials, McCaslin is also able to flesh out Ford's pre and post Civil War careers. Before the Civil War, Ford, a Mexican War veteran of John Hays's regiment, was heavily involved in border skirmishes and sympathized with the filibustering tradition. He first encountered his frequent nemesis of the Civil War years, Juan Cortina, in this period. It is clear that protecting slavery, and fears of what a Republican administration might do about the institution, was a top level concern for Ford when he joined the secessionist cause in 1861. After the war, Ford was a leading figure in sweeping Texas Democrats back into power in the waning moments of Reconstruction. He was a multi-term legislator and mayor of both Austin and Brownsville. McCaslin, the author of a history of the Texas State Historical Association, also devotes a chapter to Ford's own effort to research and write a volume of state history. A participant in many of the region's defining events, Ford's writing was also an attempt to correct gross inaccuracies found in available publications. Unfortunately, the manuscript was never published. Richard McCaslin's Fighting Stock is a superb addition to TCU Press's The Texas Biography Series, admirably fulfilling the series dictate of examining a subject's life in full. So much of Civil War biography sandwiches the war years with weak bookends, but McCaslin's look at Ford, while acknowledging the paramount importance of that time, recognizes that the 1861-65 period comprises a brief interlude in a long and eventful life. Both Civil War specialists and those with a much broader interest in Texas history with find much to admire in this volume. 1. 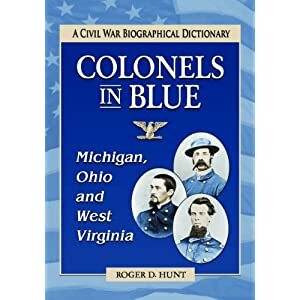 Colonels in Blue--Michigan, Ohio and West Virginia: A Civil War Biographical Dictionary by Roger D. Hunt (McFarland, 2011). Hunt has previously published Union colonels volumes for New York, New England, and the Mid-Atlantic States. 2. 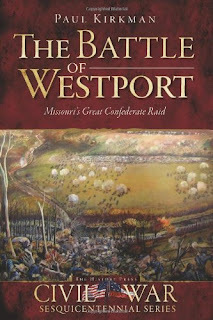 The Battle of Westport: Missouri's Great Confederate Raid by Paul Kirkman (The History Press, 2011). 3. 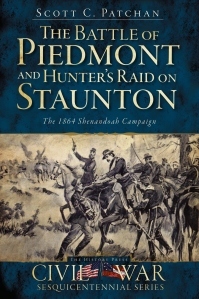 The Battle of Piedmont and Hunter's Raid on Staunton: The 1864 Shenandoah Campaign by Scott C. Patchan (The History Press, 2011). Patchan's well regarded campaign history (originally titled Forgotten Fury: The Battle of Piedmont, Va. has been reissued in paperback. 4. Discovering the Civil War by the The National Archives Experience's Discovering the Civil War Exhibition Team (D Giles Limited, 2011). Companion to the exhibit mentioned above, this book features "over 250 letters, diaries, photos, maps, petitions, receipts, patents, amendments, and proclamations" held by the archive. Rains & Michie, ed. Schiller: "CONFEDERATE TORPEDOES: Two Illustrated 19th Century Works with New Appendices and Photographs"
Most dedicated Civil War readers are familiar with the name of Confederate General Gabriel J. Rains in the context of his controversial advocacy of the use of land and water mines (torpedoes) and his leadership role in their development and production. However, the manual he created remains obscure to students of Civil War ordnance, currently residing in the manuscript room of Richmond's Museum of the Confederacy. 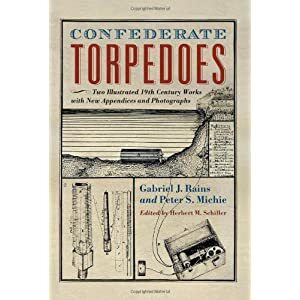 Happily for scholars and readers, Herbert Schiller has edited Rains's work and published it for the first time in a new book titled Confederate Torpedoes. In a worthy marriage, Rains's manuscript is joined by Union engineer officer Peter S. Michie's1 Notes Explaining Rebel Torpedoes and Ordnance. It is a fitting companion work as it explores the Confederate use of mines from the Union perspective. Rains's manuscript is far more than an instruction manual on the construction and use of all types of torpedoes (e.g. galvanic, contact, current, horological, etc.). It also discusses darts, grenades, incendiary bullets, torpedo boats, and submarines. One of the most fascination sections of Rains's Torpedo Book describes a remote operated torpedo boat, its rudder directions controlled by the positive and negative wires connected to a battery manipulated from shore. One is left to wonder if one of these was ever put to use. Adding immeasurably to the value of the book, author and publisher made the excellent decision to reproduce in full the original illustrations that accompany the manuscript, at the same time making them large enough to make out the technical details [a seemingly obvious feature that is all too often neglected]. Also visually enhanced by 21 plates, Michie's text discusses the Confederate use of torpedoes as well as noteworthy guns and shells, citing specific wartime examples. In addition to biographical essays for Rains and Michie, editor Herbert Schiller contributes several lengthy appendices that enhance the information presented in the text. The first is a compilation of known vessels sunk or damaged by Confederate torpedoes, the circumstances behind each event explained by narratives ranging in length from a single paragraph to a page. Schiller also added a photographic gallery of surviving examples of Confederate torpedoes, with descriptive text and some supporting drawings from other sources. Confederate Torpedoes is a significant contribution to the published technical literature (especially naval) pertaining to Civil War weaponry and equipment. Even the most knowledgeable readers will find Rains's work full of surprises and will marvel at the ingeniousness and technological sophistication of many of the designs. The book should also serve as a reference work of lasting worth, on par with the press's spectacular recent study of Civil War shell fuzes2. Confederate Torpedoes is highly recommended. 1 - Michie, a West Point graduate and professor, served as the admired Chief Engineer of the Army of the James and his beautiful maps adorn many of the plates included in the Official Military Atlas that accompanies the O.R. 2 - The Mechanical Fuze and the Advance of Artillery in the Civil War by Edward B. McCaul, Jr. (McFarland, 2010). Civil War Interactive is having another writers contest with prizes for the winner(s). Details can be found here. 1. The Bristoe Campaign: General Lee's Last Strategic Offensive with the Army of Northern Virginia October 1863 by Adrian G. Tighe (Xlibris Corp., 2010). If we don't count the H.E. Howard published entry [in a wildly uneven series, I don't know how substantive the Bristoe book was], this is the first full length treatment of the 1863 Bristoe Station Campaign. Though self published, Tighe's book has all the trappings of a scholarly effort and includes around 60 better than average looking maps. 2. Boys of Diamond Hill: The Lives and Civil War Letters of the Boyd Family of Abbeville County, South Carolina edited by J. Keith Jones (McFarland, 2011). Metzner and Peake: "BLOOD SHED IN THIS WAR: Civil War Illustrations by Captain Adolph Metzner, 32nd Indiana"
Born in 1834 in the German state of Baden-Wuerttemberg and educated as a pharmacist, Adolph Metzner immigrated to the U.S. in 1856. He settled in Louisville, Kentucky but when the Civil War broke out he crossed the border and joined a "German" Indiana infantry regiment (the 32nd). Camped with his comrades, Metzner crafted what would become an expansive series of pencil and pen sketches and watercolor paintings. Accompanied by Michael Peake's short chapter biography of Metzner and his overview history of the 32nd's war service, these images have been reproduced in full color in Blood Shed in This War. Metzner's personal portraits and camp, landscape, and battlefield scenes range from amusing caricatures to deadly serious subject matter. As examples of the former, he depicts his division (and later corps) commander Alexander McCook as an enormously fat figure and inserts his caricatures of regimental comedian Jacob Lawinsky into many camp scenes. More serious material includes several drawings and paintings of the casualties of war, among the most gruesome a watercolor showing two headless Confederate bodies propped against a tree, tongues lolling from bloody neck stumps. The subjects of Metzner's portrait drawings are more often fellow officers like Henry von Treba and August Willich than enlisted men. Many of the sketches are related to Rowlett's Station, the December 1861 battle that made the regiment famous. In addition to his more static camp views, Metzner also drew and painted some rather dramatic action scenes. Much of the art presented in the book appears crudely drawn and unfinished, and would probably be considered idiosyncratic folk art more than anything else, but several of the scenes of men and units (especially artillery batteries) on the move reveal the artist to have some real talent. Perhaps the most impressive example is a stormy river crossing watercolor titled "Beginning of the Atlanta Campaign, May 10, 1864" (pg. 43). Michael Peake complements the art compilation with a brief biographical sketch of Metzner, whose post war career included the co-founding of a pharmaceutical firm and a tile company. The author also offers a fine overview of the formation of the 32nd Indiana and its roles in the Battle of Rowlett's Station and the Shiloh, Kentucky, Murfreesboro, Chickamauga (where Metzner was wounded), Chattanooga, and Atlanta campaigns. Peake and his publisher deserve a lot of credit for their quality reproductions of Metzner's illustrations and for bringing them to the public's attention. 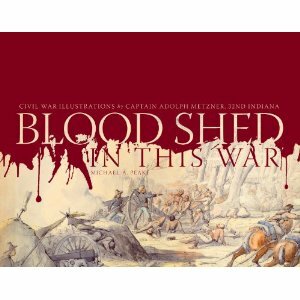 Blood Shed in this War should appeal to readers interested in Civil War art, the contributions of ethnic Germans to the Union war effort, and the role of the 32nd Indiana in the western theater.